Every once in a while, there's a wedding that calls for something a little edgier on the cover. 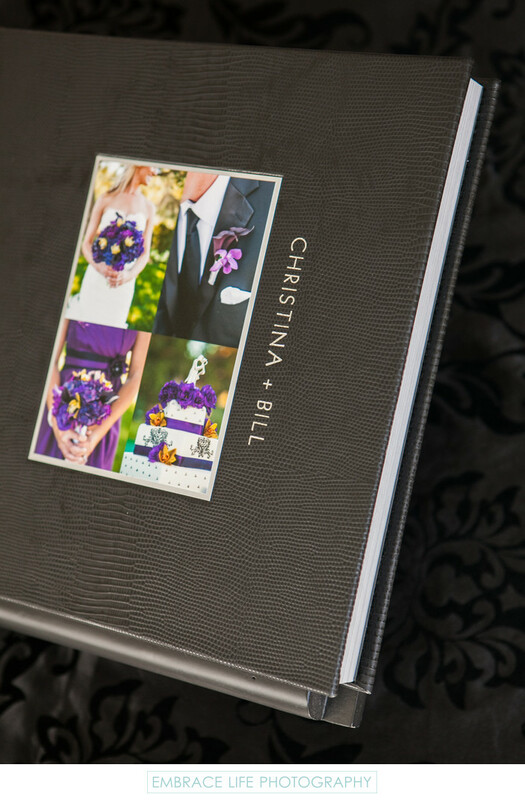 This Sherwood Country Club wedding photography album is covered in black lizard-grain leather, accented by a silver-lined collage of purple wedding details, and silver foil imprinting of the couples names in a modern font face and design style. The outside of this Flushmount Luxe Album, as all album covers should be, is a little preview of the unconventional, modern wedding decor and details found inside. Location: 320 Stafford Rd, Thousand Oaks, CA 91361.